It may be hard to imagine a composer being inspired by public hearings and court cases. 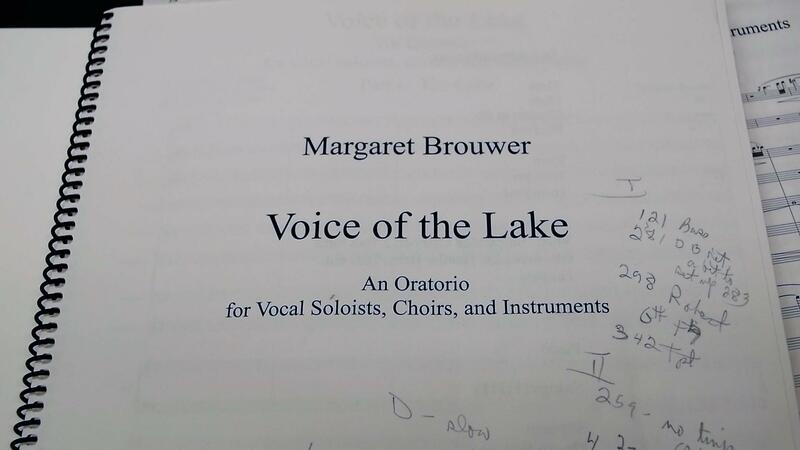 But Lake Erie and its problems take center stage in a new oratorio from Cleveland composer Margaret Brouwer. Picture a stage full of people – choirs of children and adults, rows of musicians, four soloists, and a conductor all performing a piece of music. Here, the real star of Voice of the Lake is Lake Erie. The piece premiered Sunday, and it’s all about the beauty of the lake, and the people who use it for recreation and commerce. But there’s more: a polluted past, toxic algae blooms and contaminated sediment being dumped into the lake. 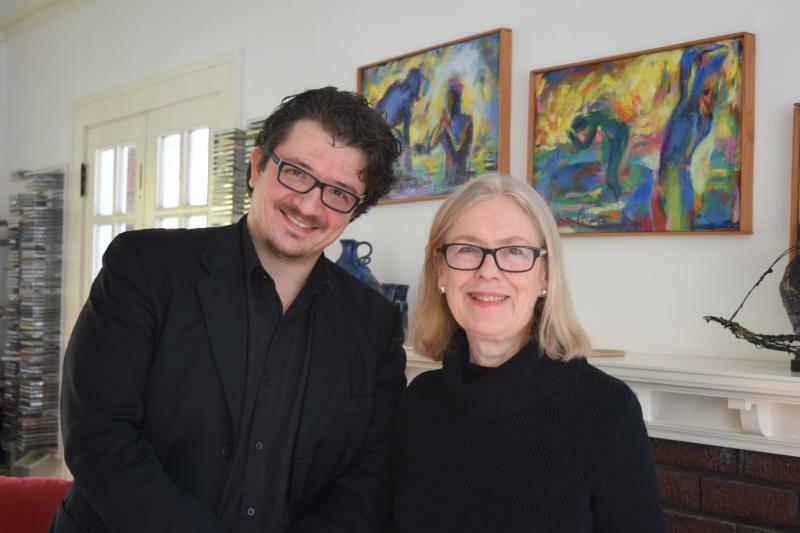 Composer Margaret Brouwer started working on the piece a couple of years ago. She even uses testimony from public hearings on the dredging of the Cuyahoga River, including a statement from Rep. Marcia Fudge, who represents Greater Cleveland. In reality, that drama is over for now. A federal judge has ordered the Corps of Engineers to place dredged sediment into containers instead of the lake. But there’s still the issue of cleaning up decades of pollution and stopping new pollution. Brouwer tackles this with a visual presentation. As the instrumental ensemble plays, projected images show the effects of pollution: closed beaches, slimy-looking green algae, brown water traveling to a sewer. The video also shows efforts to reduce pollution, including neighborhoods building rain gardens to slow the flow of water into sewers, rivers, and lakes. There’s a slide about the region’s new storage tunnels that limit sewer overflows during storms. And there’s a photo of a farm that uses techniques to reduce soil erosion and improve water quality. The piece ends with a sunrise on the lake -- birds singing and the children’s choir wondering if the water will be clean enough to swim. Right now the piece stands as an oratorio, which is kind of like a staged reading or a concert – there are no costumes, props, or sets. But Brouwer initially imagined the piece as an opera, and still might write it as one. She also wants to see the piece performed elsewhere. “There are lakes with very similar problems in other parts of the country, and also in China,” she says. “There’s always the hope that this might get some more performances many places." Cleveland poet David Adams, who wrote several lines of Voice of the Lake’s libretto, wants audiences to walk away thinking about the lake – and not taking it for granted. The 2017 algae bloom is over in western Lake Erie. And while it didn’t directly threaten drinking water, its bright green hue prompted national attention and hurt Lake Erie’s tourism business. 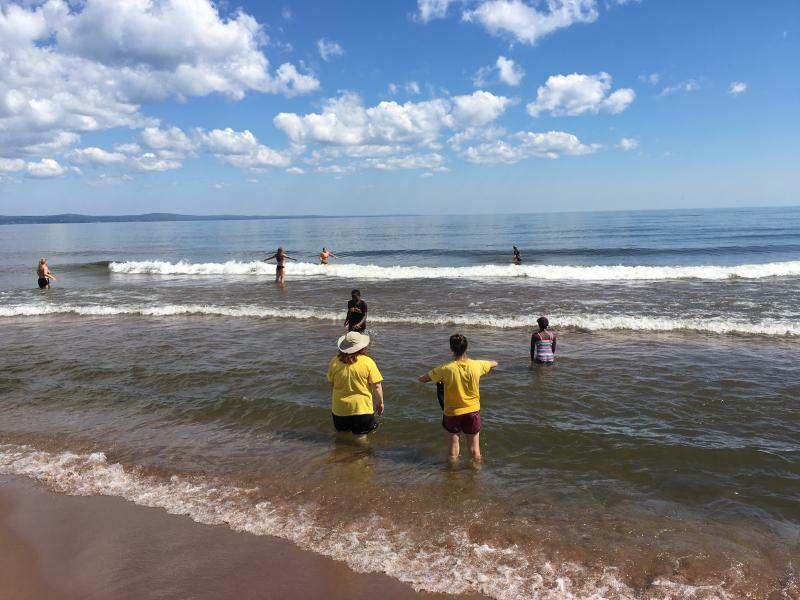 At Brighton Beach outside Duluth, the waters of Lake Superior are stunningly clear. Looking into about six feet of water, it’s easy to see smooth rocks at the bottom. But Lake Superior has lost its long-held title as the clearest of the Great Lakes. A recent study showed that lakes Michigan and Huron have changed drastically. Over the years, billions of dollars have been allocated to restoring the Great Lakes – whether its money spent cleaning up pollution, preventing invasive species, or educating the public. A new regional initiative will analyze how effective some of these efforts – and dollars – have been so far.